Christian radio broadcaster FEBC is trying to get a first-response radio team into Palu, Sulawesi, to provide emergency programming for survivors of Friday’s tsunami which followed a 7.5 magnitude quake that struck off the Indonesian coast. Hundreds of people died, cars were smashed and major infrastructure destroyed when 5m high waves crashed ashore in the city after the quake struck about 80km north of Palu. People need reassurance that it’s not the end of the world. Kevin Keegan, national director of FEBC Australia, says radio is “absolutely critical” in the immediate aftermath of any disaster, because people need to find out what is happening. However, its local partner in Palu, Damai FM Radio, is unable to operate despite its tower being undamaged because of extensive damage to its buildings. FEBC (Far East Broadcasting Company) is an international radio network that airs Christian programmes in 149 languages. It partners with about 70 to 80 local radio stations in Indonesia, and specifically trains first-response teams based in Jakarta to assist in what is a disaster-prone area. The teams bring in a portable studio in a suitcase, an antenna along with a mixer, small laptop and transformer to provide expertise on the type of messaging needed in emergency situations – including offering words of hope and life. “People need reassurance that it’s not the end of the world. In these types of situations, they need to be aware of what resources are available, when services will continue, etc,” he says. Keegan said first-response team members were seeking to get into Palu but it was too difficult to fly in because of a blockade at the local airport by people trying to flee; meanwhile, trained people in nearby islands were looking at ways to reach Palu by boat. “The big problem we have is that there is not enough electricity in the city and no fuel. So we will have to take in a generator and diesel fuel to operate emergency programming,” he said. With none of the radio stations in Palu working, FEBC in Jakarta is communicating with a group of dedicated businessmen in Palu and staff of Perkantas/IFES (International Fellowship of Evangelical Students) to distribute radio receivers to allow refugees to receive programme broadcasting, according to FEBC Indonesia director, Jusak Widjaja. Australian Church Missionary Society missionary Andrew Buchanan, who is on home assignment after a posting at Toraja in South Sulawesi, said the church in Toraja had sent truckloads of goods to Palu, about 12 hours away by road, to help people connected with the church. “Palu is majority Muslim but there are quite a lot of Christians and a number of those are part of the church at Toraja,” he said. Buchanan said what people were most short of at the moment was water and food, but the roads into Palu were still unstable with continuing tremors. 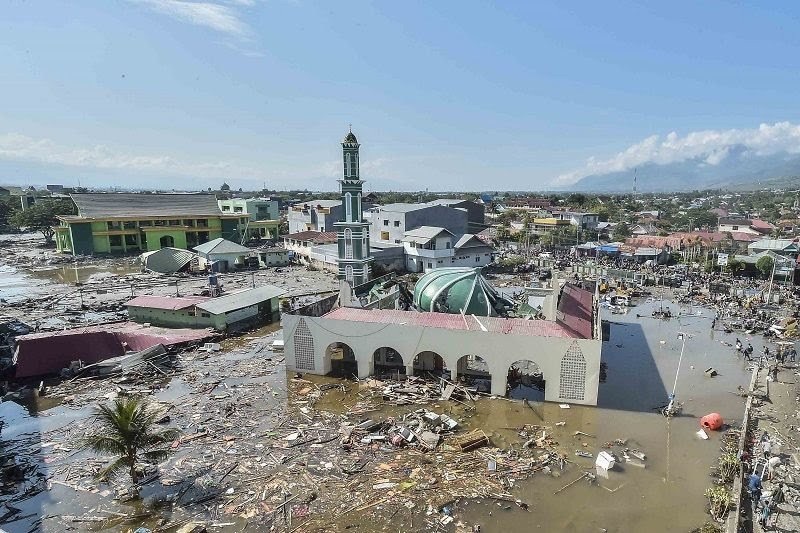 He said the Indonesian government’s response was far more advanced than it was in the devastating Aceh earthquake and tsunami 14 years ago; however, the population was still ill equipped to cope with the scale of the disaster. “For example, the runway had some damage to it but was still able to take landings from military planes, so Hercules planes were flying in bringing supplies and volunteers, but you had a whole lot of family people who wanted to get in first so they could look for their family members. “Then when they get there, they realise there’s no food and water and they demand to be taken back and so you’ve got chaotic things like this which hamper aid efforts. 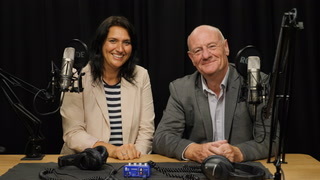 As Tim Costello, chief advocate for World Vision Australia, prepared to leave for Sulawesi, groups such as YWAM, World Vision (Indonesia), Red Cross (Indonesia), and other local groups were already on location. World Vision – donate here. TEAR Fund – donate here. CBM (targeting the disabled) – donate here. Caritas (Catholic Agency for Aid and Development) – donate here. Anglican Overseas Aid – donate here. Ethnos360 Aviation is a church serving aviation team that is partnering with MAF and Helivida to provide food, clean drinking water, and other relief supplies necessary to help sustain Palu in the aftermath of the earthquake and tsunami. Donate here. 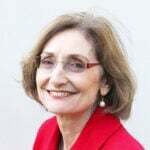 Marcelle Rodgers, former CMS missionary in Sulwesi, is channelling funds to affected women in villages through her Indonesian Cards by Village Women company. St George Account: 455717753 Account Type: SCA-Charity BSB No: 112-879.